Today I found out that the idiom used for the notion of someone “getting what’s coming to them”, whether good or bad, is actually “just deserts”, not “just desserts”. The misconception primarily stems from the fact that most people are unfamiliar with the word ‘desert’ (pronounced dizert), which more or less means the same thing as the word ‘deserve’. Instead, when they see the word ‘desert’, most they think only of the word meaning something to the effect of ‘dry, sandy wasteland’, which is pronounced ‘dezert’. In fact, these two words that are spelled the same, but pronounced differently, have their origins in two different Latin words. The word ‘desert’, as in “sandy wasteland”, comes from the Latin word deserere, meaning “to forsake”. The word ‘desert’ as in “to get what’s coming to you”, comes from the Latin word deservire, meaning “to serve well” or “to serve zealously”: “de-” (completely) + “servire” (to serve). Deservire is also where we got the word “deserve” from. The transition came from the fact that when one served well, they would expect to be rewarded at some point for their services. Thus, sometime between the third and sixth centuries A.D., “deservire”, meaning “to serve well”, in Late Latin got shifted in meaning to now mean something to the effect of “to be entitled to because of serving well”. This then gave rise to the Old French “deservir”, which in turn gave us “deserve” in English around the 13th century. It was also around the 13th century that “desert”, as in “to get what’s coming to you”, first popped up in English. But, of course, outside of the idiom “just desert”, which first popped up around the 16th century, is almost never used any more. The type of spelling error based on a mishearing of a word or misunderstanding of its context is commonly called an eggcorn. What does “Just Deserts” Mean? 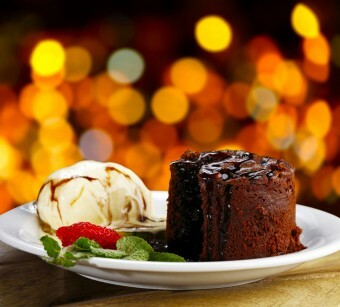 unless of course you believe a dessert is what you ‘deserve’ for finishing your meal, a reward if you like. then just dessert does make sense. And if you were bad then a just dessert would be something you don’t like, perhaps liver flavored ice cream…just dessert. Exactly like the picture illustrated…no desserts, just desserts. Ah, a heteronym, but a relatively unknown one. I once saw a stand-up comedian who went through a routine using heteronyms in his sentences. They were funny in and of themselves, but when the people began to understand what he was really doing to them, there was even more laughter. I was not aware of this difference between just deserts and just desserts, I am just amazed to know this, because I always using “just desserts” since too long. One more more thing today I really found. Thnx a ton. This is wrong. “de-” means “away from, out of” so “de-” + “servire” means “out of service.” In other words, if you “deservio” you’re devoting yourself to something not out of obligation but out of choice.